Have you thought about starting a peer supervision group? It’s a great way to get feedback from colleagues, combat the isolation of a private practice, and even gain cross-referrals. Where do you start? How do you structure the group? What do you cover in the group? Who needs to be in the group? You can see that this topic gives way to many questions about making it work. Today’s show dives into the nuts and bolts of a peer supervision group. Now’s your chance to learn more! Jill Kaufman, MSW, LCSW, has a private practice in Princeton, NJ. She’s here to talk about how to start and build the format for a peer supervision group. We’ll discuss how to know what topics to cover, how many members you should have, common formats and structures, and the pros and cons of a topic-based group. Today’s episode is the first in a two-part series with Jill on this topic, so don’t miss Episodes 175 and 176! Why you’re missing out if you are in private practice and not in a peer supervision group! 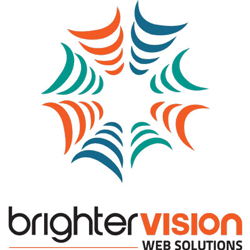 Brighter Vision Get your first month’s service FREE! I know that our lives are busy, and I’m grateful that you took the time to listen to this week’s podcast. If you enjoyed today’s episode, please share it with our colleagues and friends using the social media buttons on this page. Please consider leaving an honest rating and review for the podcast on iTunes as this helps the podcast reach more of our colleagues who want to build successful practices. Finally, feel free to join over 5,000 of our colleagues who are signed up for the Selling the Couch newsletter. You’ll learn valuable tips to build and grow your practice and get the podcast episodes delivered right to your inbox. You’ll also get FREE access to The Tax Write-Off Check List for Mental Health Private Practitioners.